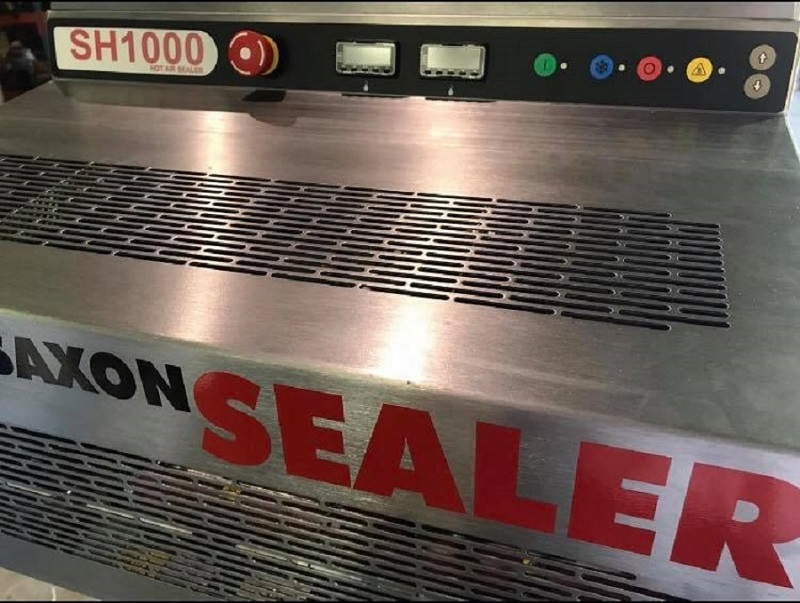 This new generation heat sealer has been designed with the latest in PID (Proportional Integral Derivative) temperature control technology, making it a highly accurate sealer with an efficient heat transfer system. 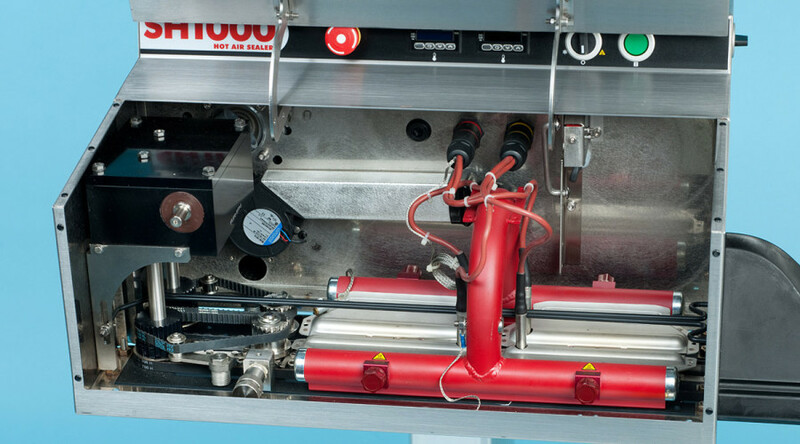 Other innovations include a direct-drive system and improved air flow design. The result is a sealer that is faster and can accommodate thicker bags. 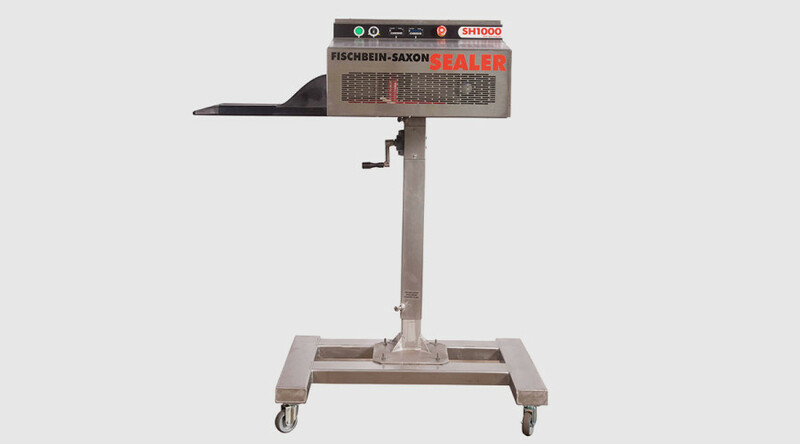 The Saxon SH 1000 now replaces the Saxon 5. 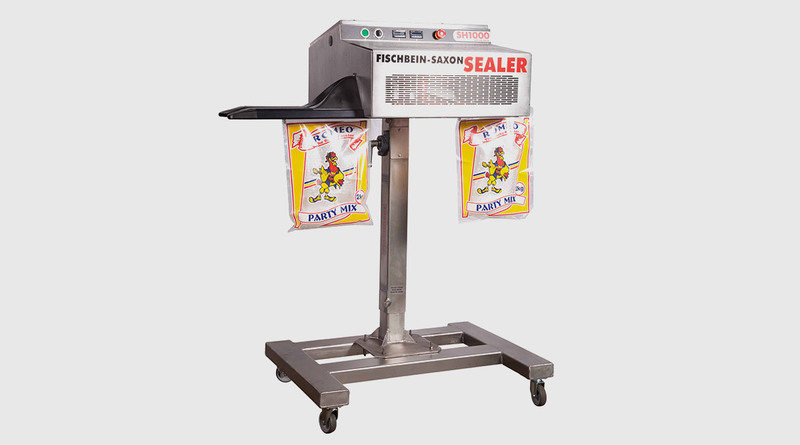 The Fischbein-Saxon SH 1000 comes with a durable, hygienic, stainless steel housing, making it ideal for use in the food, pharmaceutical and chemical industries. 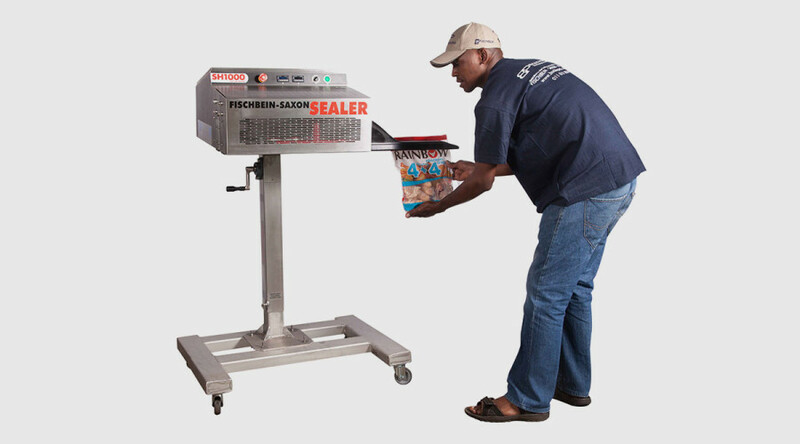 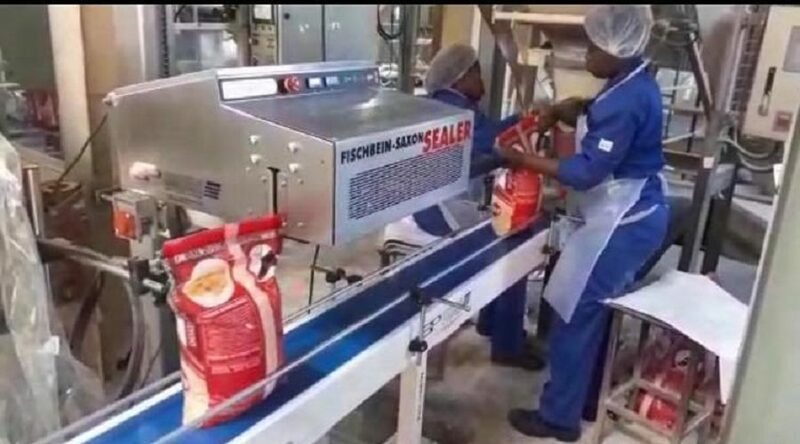 The sealer produces neat, attractive bag closures that are strong enough to resist breakage or spillage during handling and transport. 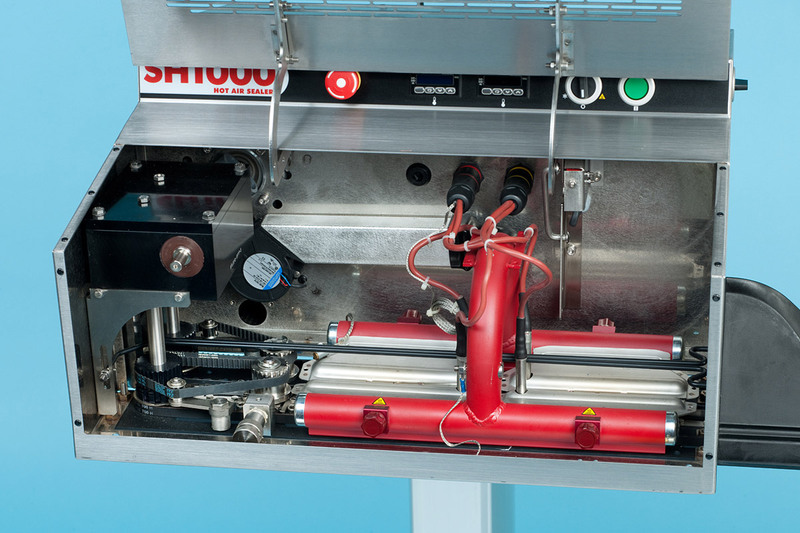 With its increased efficiency, the SH 1000 guarantees customers improved productivity all round. Maintenance is also greatly simplified. 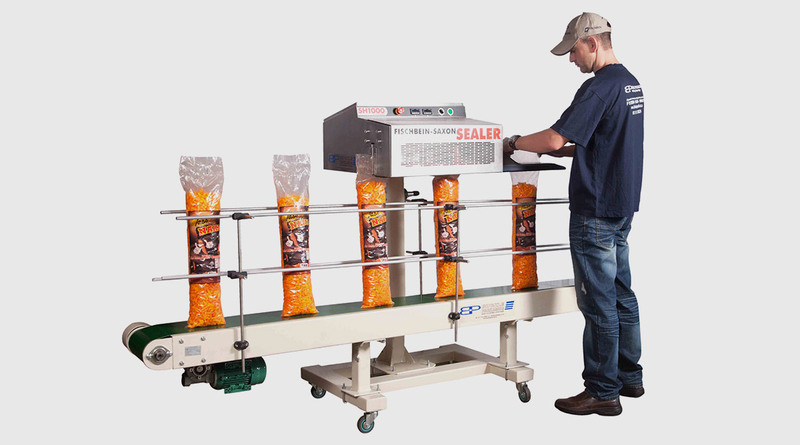 Ideal for use in the poultry , snack food , fertilizer and pet food industries. Available in standard right to left feed and special left to right variations. 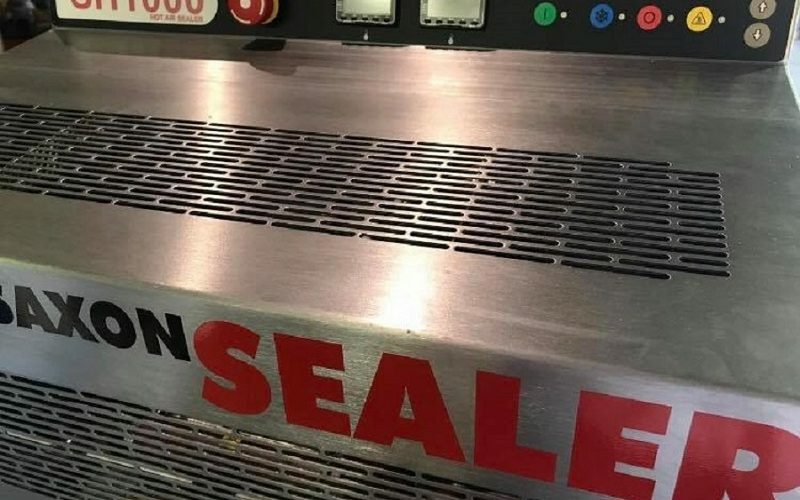 Full stainless steel housing suitable for the food industry. 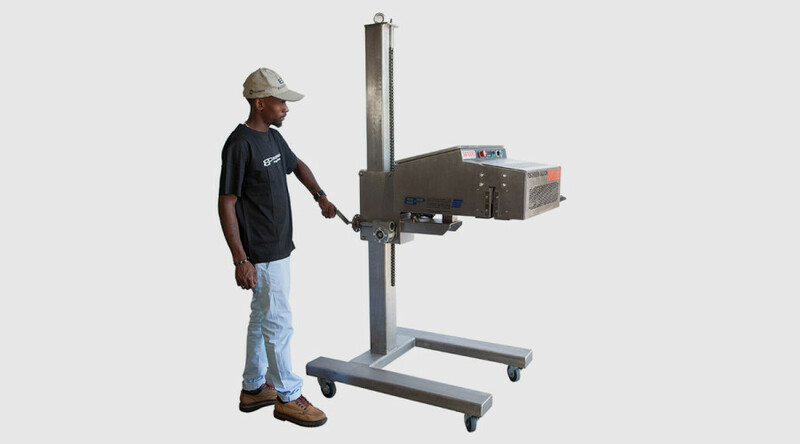 Other options include electric column , bag top trimmer, air wash and cooler available on request.